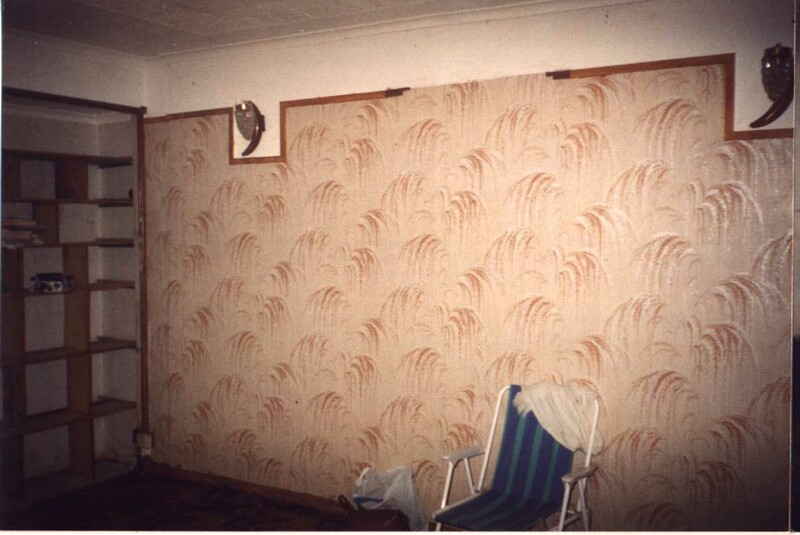 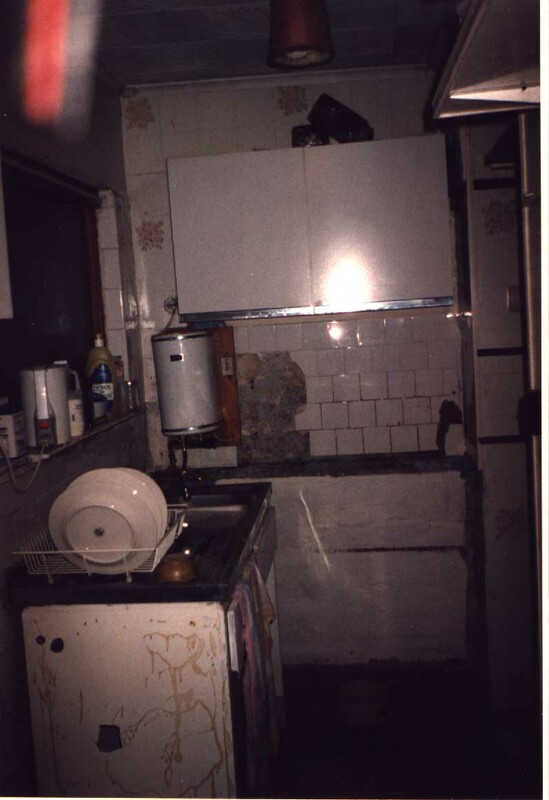 On this page I'll show you photos taken during the various stages of the work carried out. 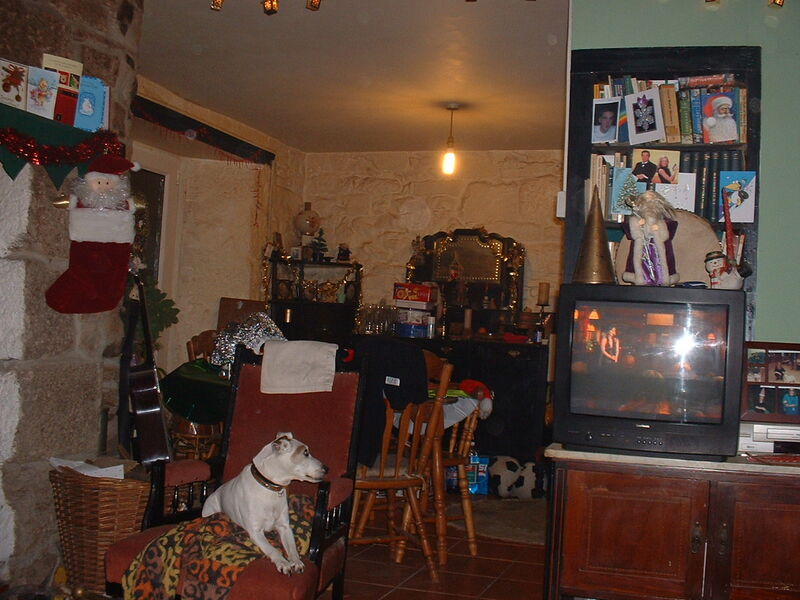 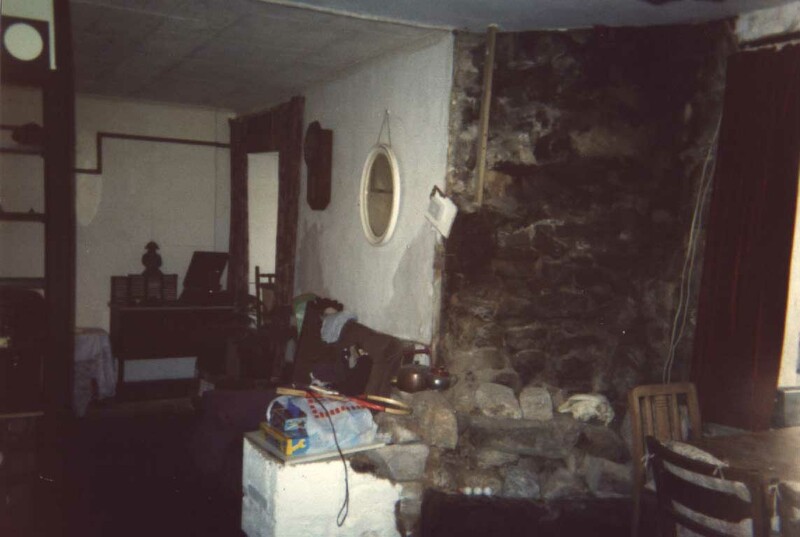 this wall is the far wall of the living room, at right angles to the fireplace wall, with the bookshelves on the wall opposite the fireplace, note the only chair we had there for many months! 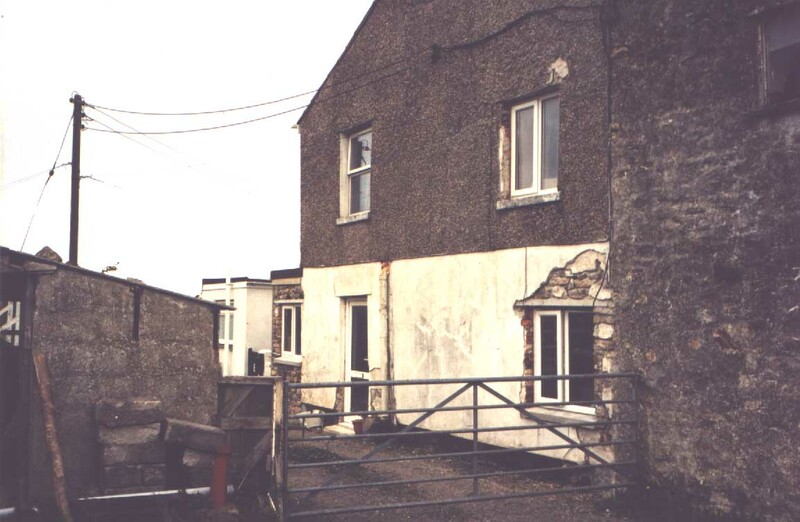 from this photo you can see the new windows and door, see the granite blocks beneath the old rendering, hopefully this will all be exposed eventually. 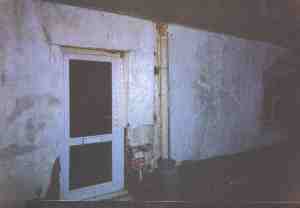 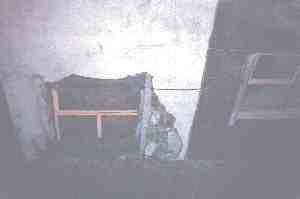 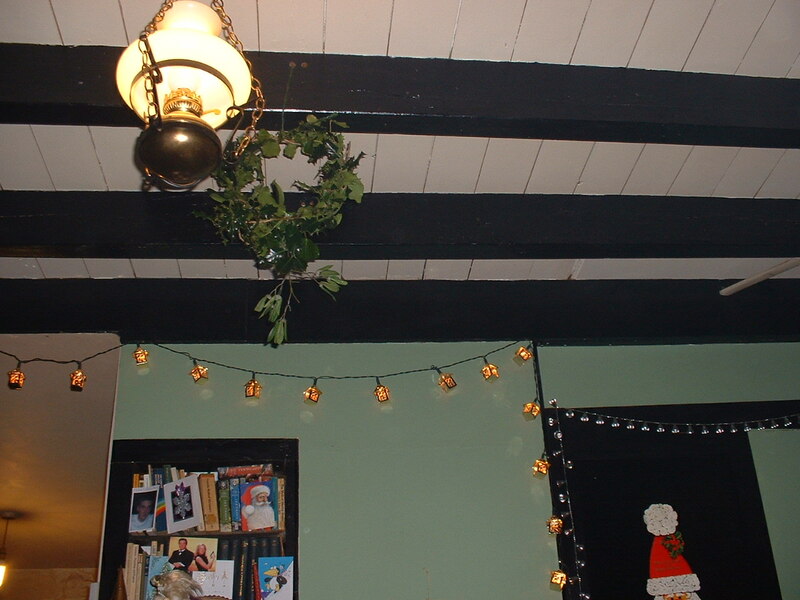 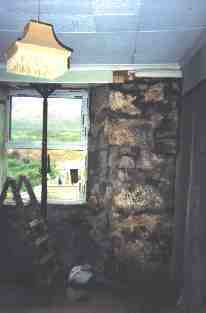 this shows the old dining room window, which has now been replaced by a door. 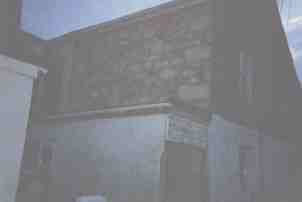 You can see the bare granite bock walls, after we had removed the chipboard covering it. 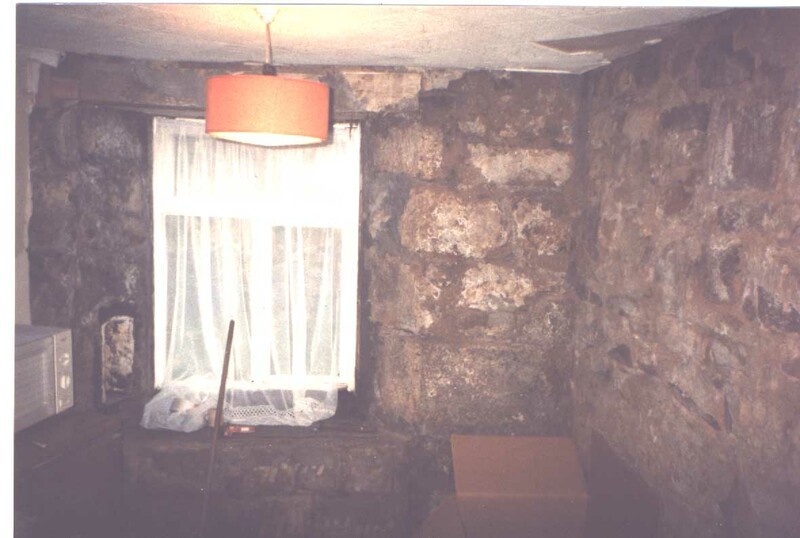 On the very left, is the start of the angled wall, which when the boarding was removed, revealed the back of an old flue. 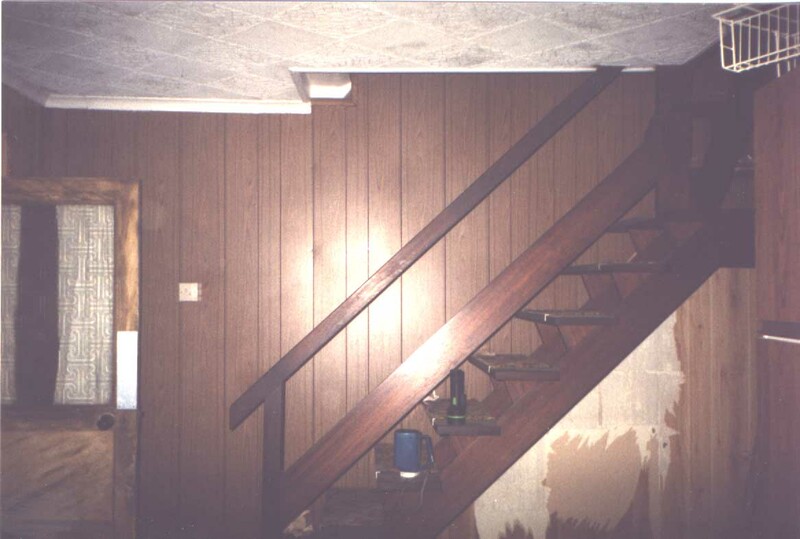 this obviously is the staircase wall in the dining room, this time covered with laminated hardboard. 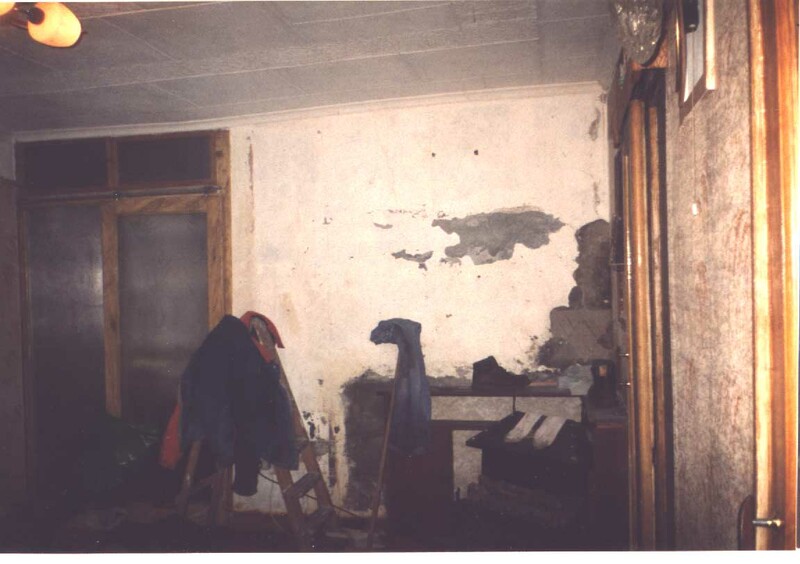 This wall is opposite the new front door, to the left is the door to the kitchen, to the right is the doorway to the living room. 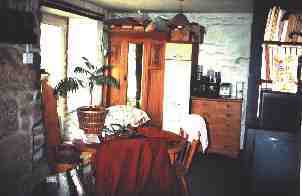 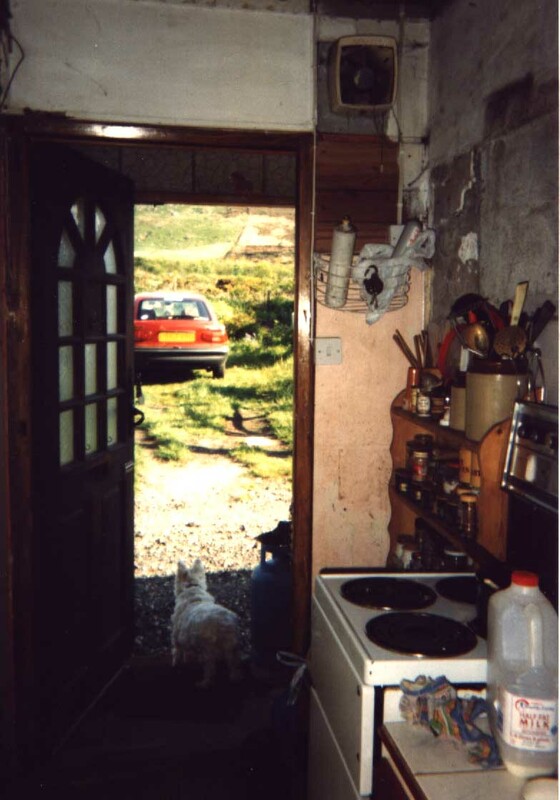 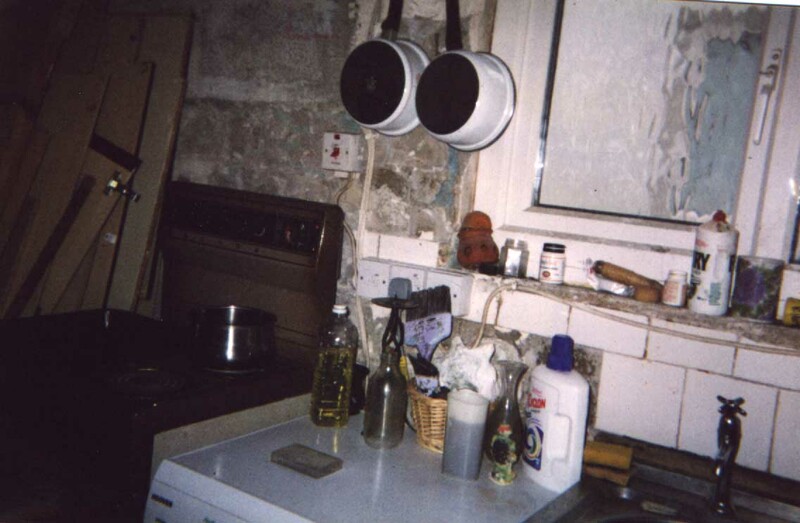 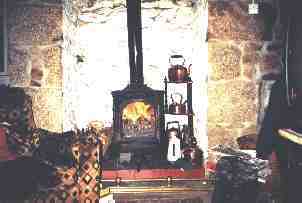 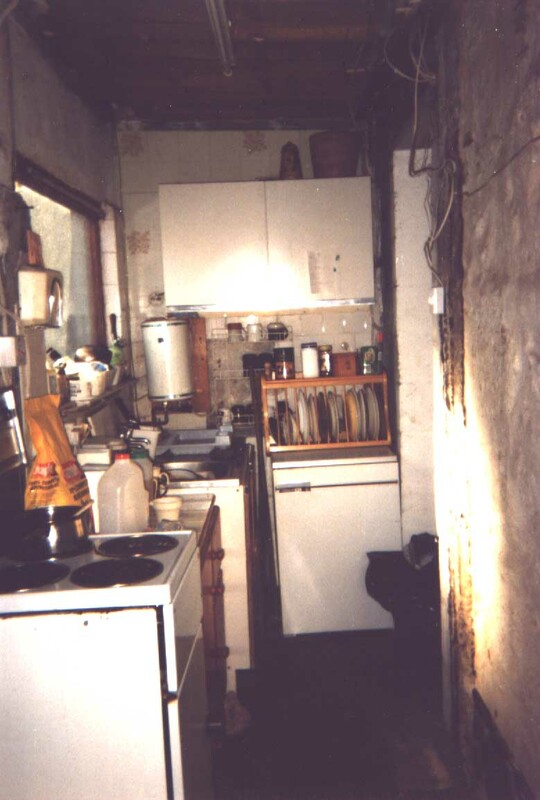 this is the original front door in the kitchen, note how small the kitchen is. 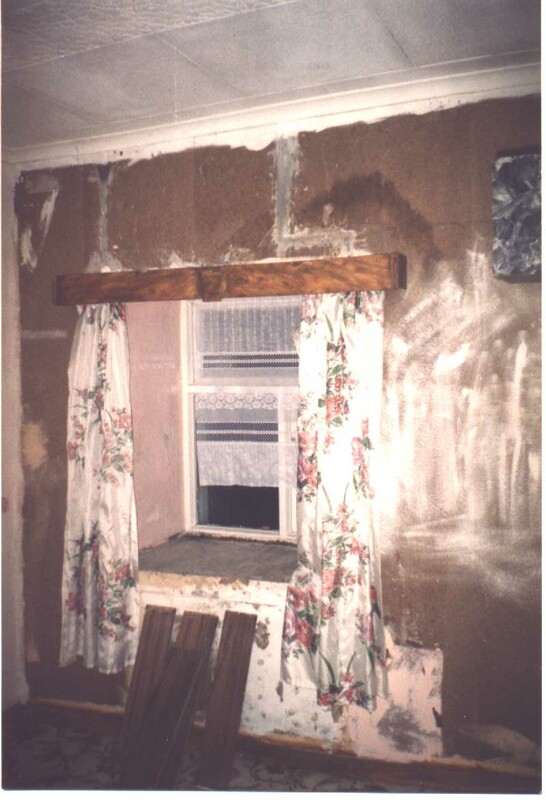 In the picture below you can see how it has been replaced by a window. 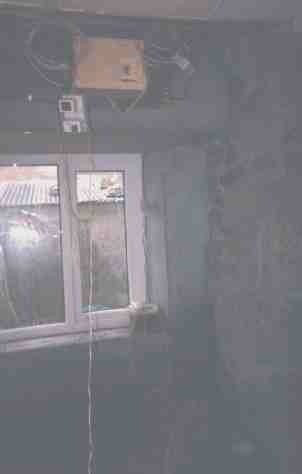 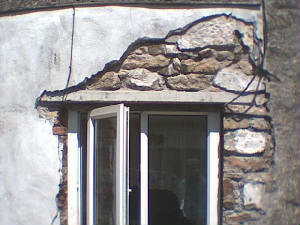 Here you can see the outside wall with part of the render removed. 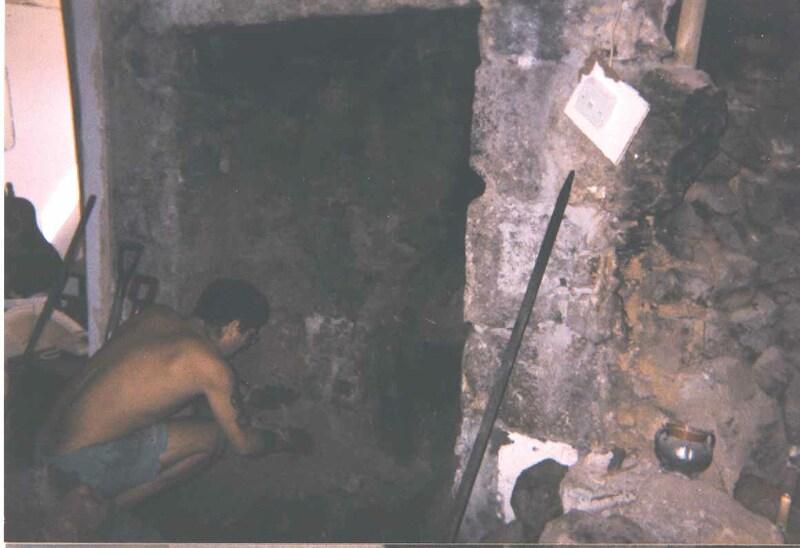 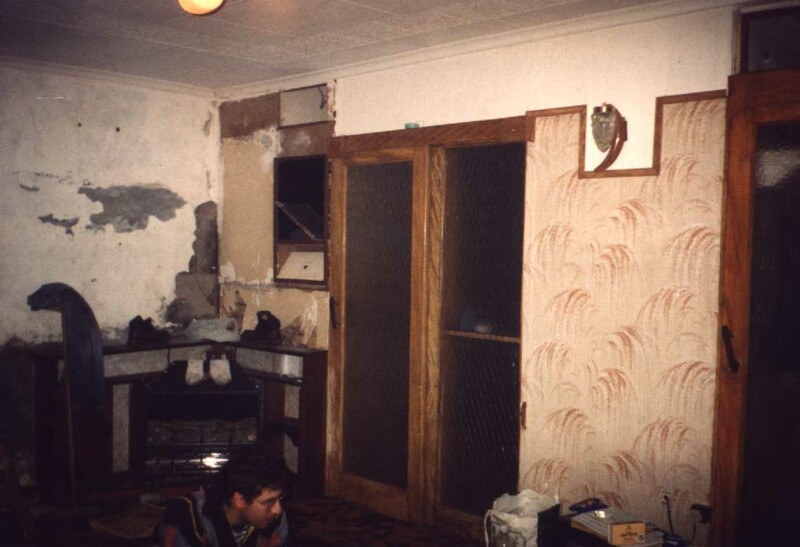 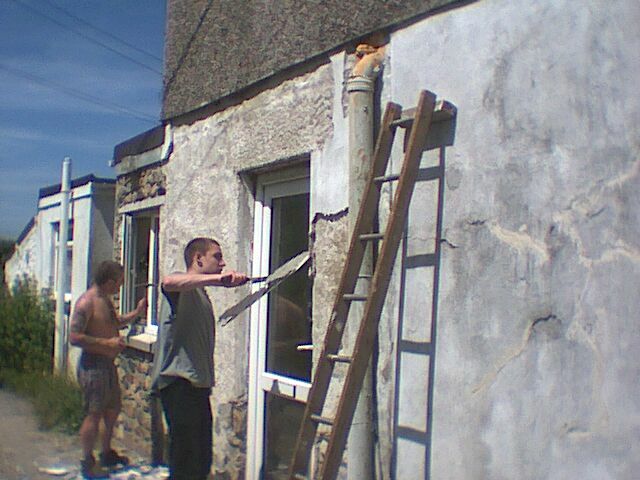 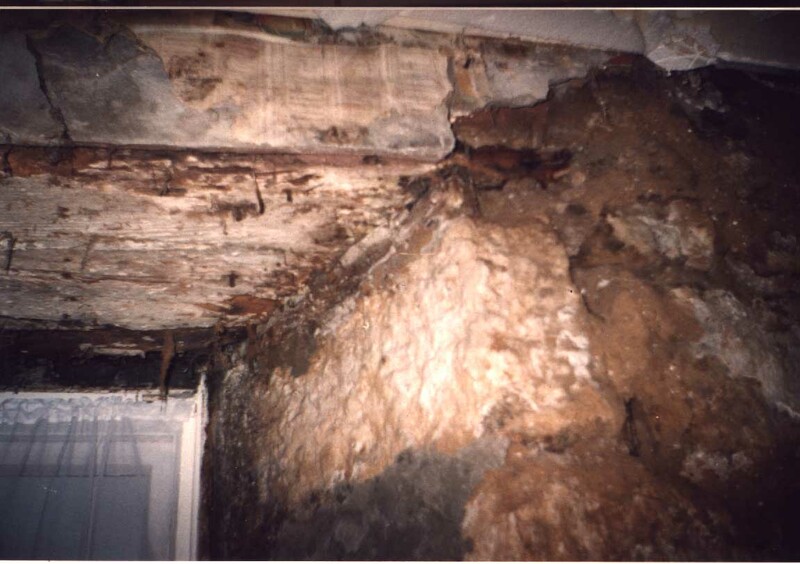 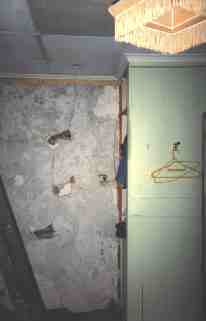 In this picture you can see Dean and his son starting to take the old render off, ready for the builder to do his work. 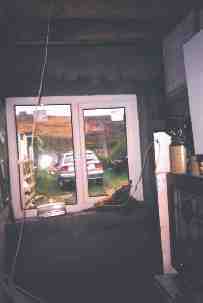 Here is a view through into the dining room from the living room, you may just be able to see the new floor tiles. 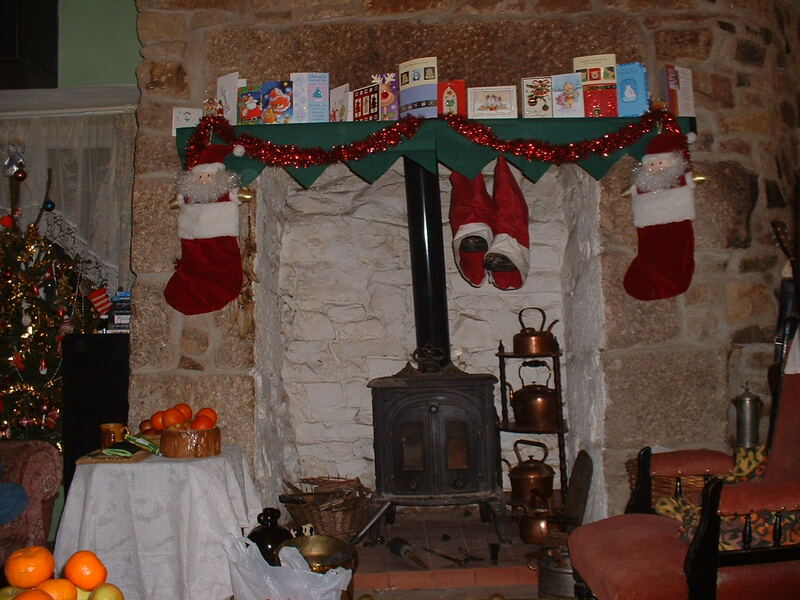 Just had to show how the new fireplace lends itself well to the Christmas decorations, made for Santa's visit, though squeezing down through the narrow flue must take a lot of his magic! 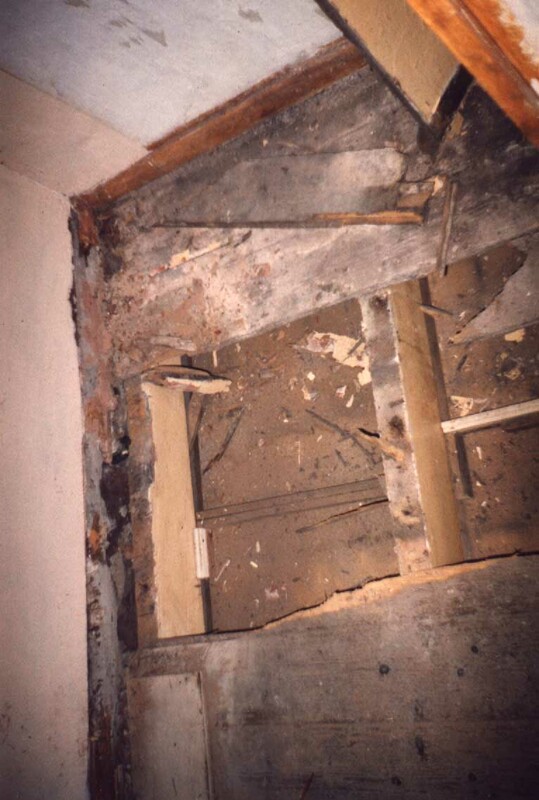 In this picture you can see the painted undersides of the flooring above, and the black beams which we uncovered and left exposed.